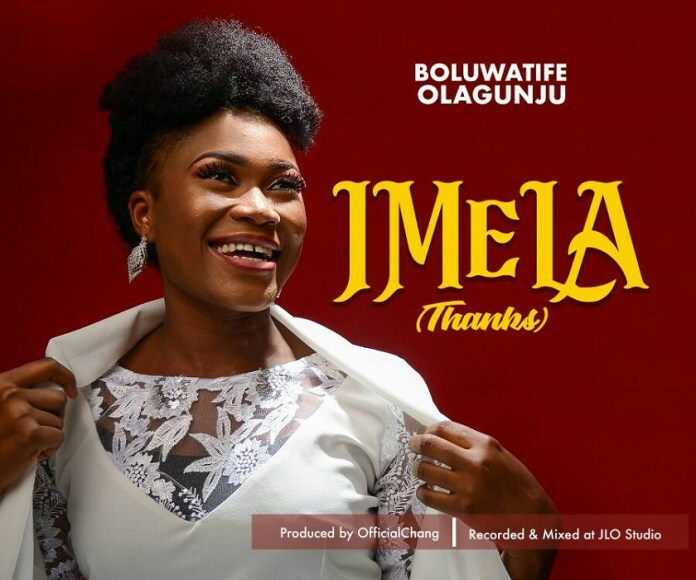 Boluwatife Olagunju is out with her second single titled ‘Imela’ which is an “Igbo” way of saying ‘Thank you’. Imela is a song inspired by the spirit of God to praise him. It is a song of gratitude and Thanksgiving to God, the giver of salvation by making us redeemed through his blood on the cross of Calvary. He paid it all for me and you. “I wrote this song during a personal worship session in my secret place. I understood that he deserves all the praise in every situation. As the psalmist also said, “Bless the Lord o my soul and all that is within me bless his holy name!” Psalm 103:1. – Boluwatife Olagunju. I also believe that everyone who will listen to this song will understand that we live to praise him alone and we will surely have one reason or the other to praise him because it’s our duty as living beings. “Let everything that has breath praise the Lord! Praise the Lord! ” Psalm 150:6.